One of the largest and most internationally respected events for chemical scientists takes place in Liverpool this week and the University’s Professor Matt Rosseinsky, FRS, will be delivering one of the keynote speeches. 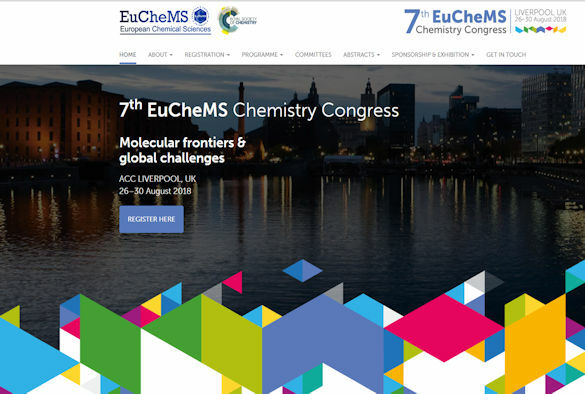 The 7th European Association for Chemical and Molecular Sciences (EuCheMS) Chemistry Congress opens on 26 August and will see leaders in the field of chemistry and related fields come together at the Liverpool Arena and Convention Centre to exchange ideas, advance knowledge and discuss key issues for chemistry and society. Featuring plenary lectures, oral and poster communications, an exhibition, an ancillary programme and social activities, the theme for this year’s congress is ‘Molecular frontiers and global challenges’. Liverpool Professor of Organic Chemistry, Matt Rosseinsky FRS, will deliver a keynote speech `New Approaches to the Discovery of Inorganic Materials and Interfaces’ in the session entitled `Materials, interfaces and devices session’. 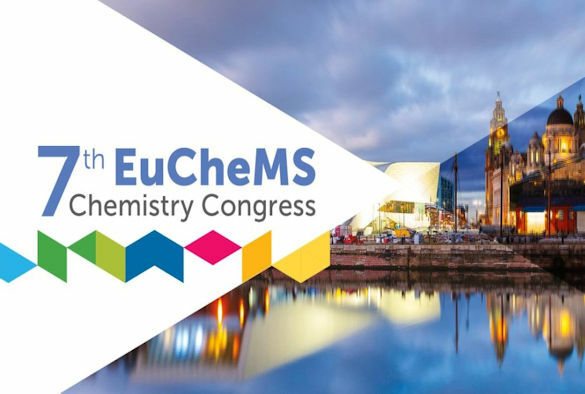 Professor Rasmita Raval, also with the University’s Department of Chemistry, is part of the EuCheMS local organising committee which was responsible for putting together the programme for the congress. Liverpool researches who are also presenting papers at EuCheMS2018 are: Ashlea Hughes, Dr Marc Little, Dr Samantha Chong and Dr Rebecca Greenaway. The European Association for Chemical and Molecular Sciences represents more than 160,000 chemists from more than 40 member societies and other chemistry related organisations.